Human immune cells in blood can be converted directly into functional neurons in the laboratory in about three weeks with the addition of just four proteins, researchers at the Stanford University School of Medicine have found. The dramatic transformation does not require the cells to first enter a state called pluripotency but instead occurs through a more direct process called transdifferentiation. The conversion occurs with relatively high efficiency—generating as many as 50,000 neurons from 1 milliliter of blood—and it can be achieved with fresh or previously frozen and stored blood samples, which vastly enhances opportunities for the study of neurological disorders such as schizophrenia and autism. "Blood is one of the easiest biological samples to obtain," said Marius Wernig, MD, associate professor of pathology and a member of Stanford's Institute for Stem Cell Biology and Regenerative Medicine. "Nearly every patient who walks into a hospital leaves a blood sample, and often these samples are frozen and stored for future study. This technique is a breakthrough that opens the possibility to learn about complex disease processes by studying large numbers of patients." A paper describing the findings will be published online June 4 in the Proceedings of the National Academy of Sciences. Wernig is the senior author. Former postdoctoral scholar Koji Tanabe, Ph.D., and graduate student Cheen Ang are the lead authors. The transdifferentiation technique was first developed in Wernig's laboratory in 2010 when he and his colleagues showed that they could convert mouse skin cells into mouse neurons without first inducing the cells to become pluripotent—a developmentally flexible stage from which the cells can become nearly any type of tissue. They went on to show the technique could also be used on human skin and liver cells. But each approach has been dogged by challenges, particularly for researchers wishing to study genetically complex mental disorders, such as autism or schizophrenia, for which many hundreds of individual, patient-specific samples are needed in order to suss out the relative contributions of dozens or more disease-associated mutations. "Generating induced pluripotent stem cells from large numbers of patients is expensive and laborious. Moreover, obtaining skin cells involves an invasive and painful procedure," Wernig said. "The prospect of generating iPS cells from hundreds of patients is daunting and would require automation of the complex reprogramming process." Although it's possible to directly convert skin cells to neurons, the biopsied skin cells first have to be grown in the laboratory for a period of time until their numbers increase—a process likely to introduce genetic mutations not found in the person from whom the cells were obtained. The researchers wondered if there was an easier, more efficient way to generate patient-specific neurons. In the new study, Wernig and his colleague focused on highly specialized immune cells called T cells that circulate in the blood. T cells protect us from disease by recognizing and killing infected or cancerous cells. In contrast, neurons are long and skinny cells capable of conducting electrical impulses along their length and passing them from cell to cell. But despite the cells' vastly different shapes, locations and biological missions, the researchers found it unexpectedly easy to complete their quest. "It's kind of shocking how simple it is to convert T cells into functional neurons in just a few days," Wernig said. "T cells are very specialized immune cells with a simple round shape, so the rapid transformation is somewhat mind-boggling." The resulting human neurons aren't perfect. They lack the ability to form mature synapses, or connections, with one another. 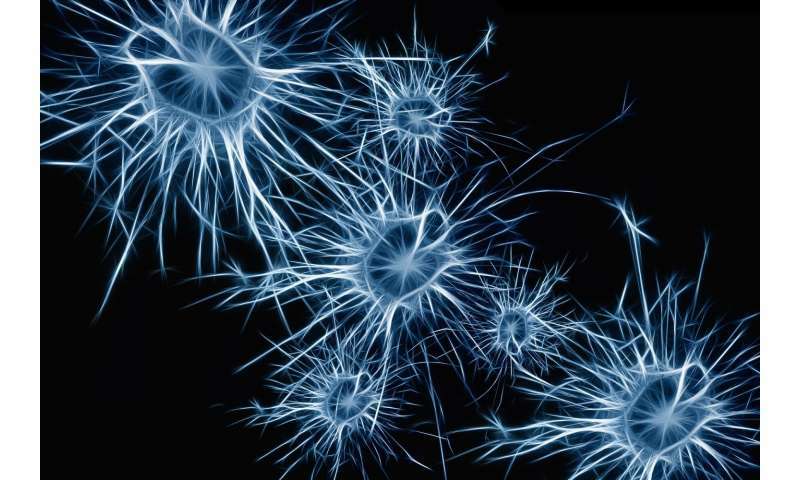 But they are able to carry out the main fundamental functions of neurons, and Wernig and his colleague are hopeful they will be able to further optimize the technique in the future. In the meantime, they've started to collect blood samples from children with autism. "We now have a way to directly study the neuronal function of, in principle, hundreds of people with schizophrenia and autism," Wernig said. "For decades we've had very few clues about the origins of these disorders or how to treat them. Now we can start to answer so many questions."